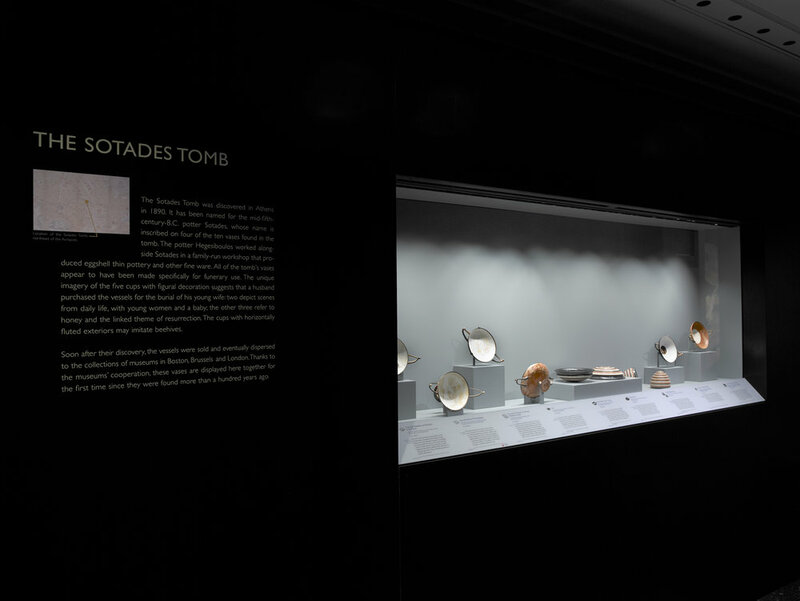 The exhibition featured over 100 vases made in and around Athens between 550 and 340 B.C., including some of the greatest masterpieces of Athenian pottery. 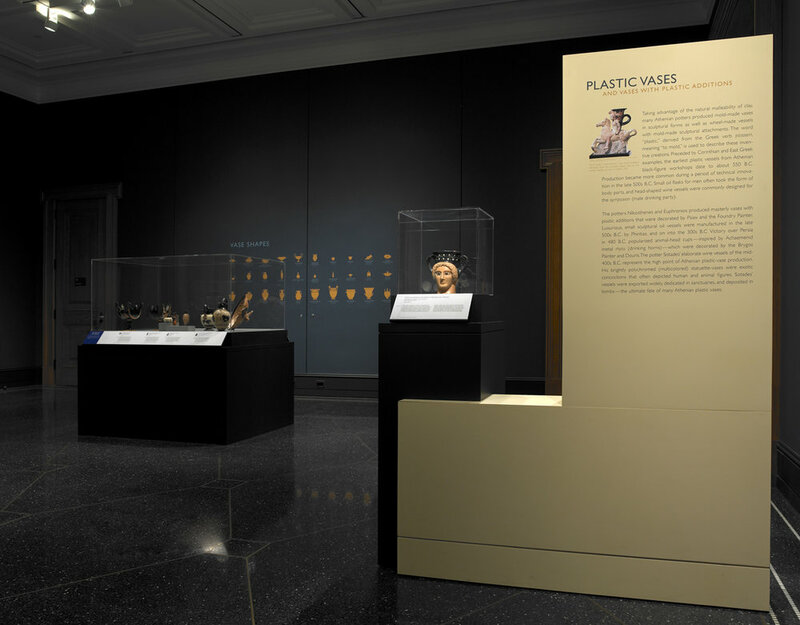 To highlight special techniques of Athenian vase-painting beyond the standard—black-figure and red-figure—I designed casework to feature specific vases and their alternative techniques. Giving visitors a basic vocabulary about vases, we also highlighted their distinct shapes and used them as graphic backdrops. 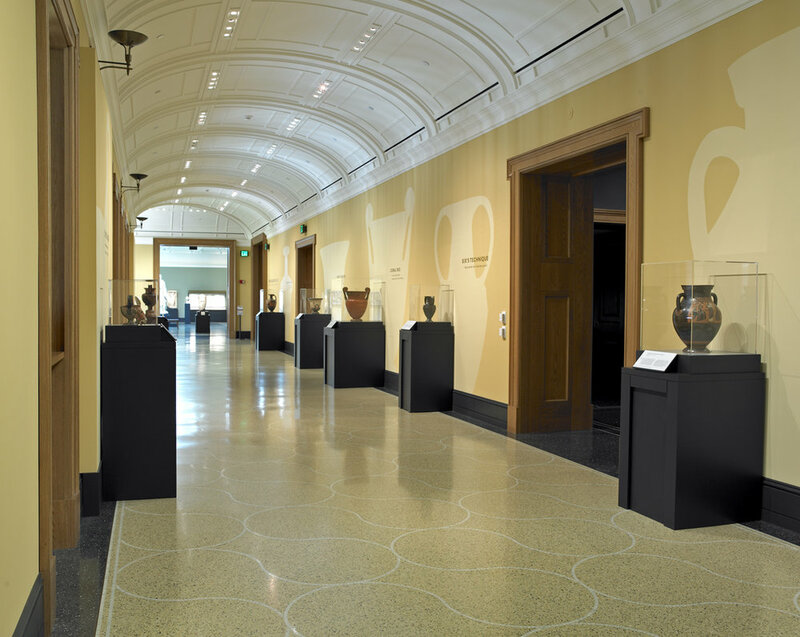 Gallery colors were drawn from the objects themselves.